NEWS – If you’re like me, you probably have charging cables in every room of your house. The problem is that they never stay where you put them. They start out on your desktop or nightstand but usually end up on the floor or in a tangled mess. The Silk Cable Wrangler will keep those pesky cables where they belong. The Cable Wrangler works using magnets that are attracted to your cable. 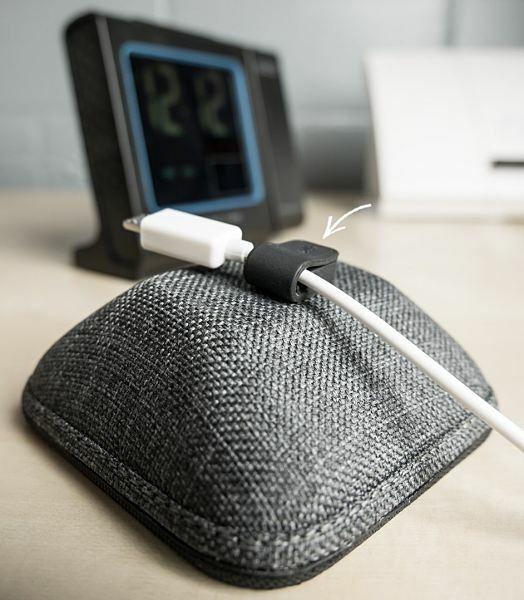 Its powerful magnetic base lets your cords snap easily in place and stay neat and organized until the next time you need them. If you have a cable that’s not attractive enough you can use the included magnetic collar. 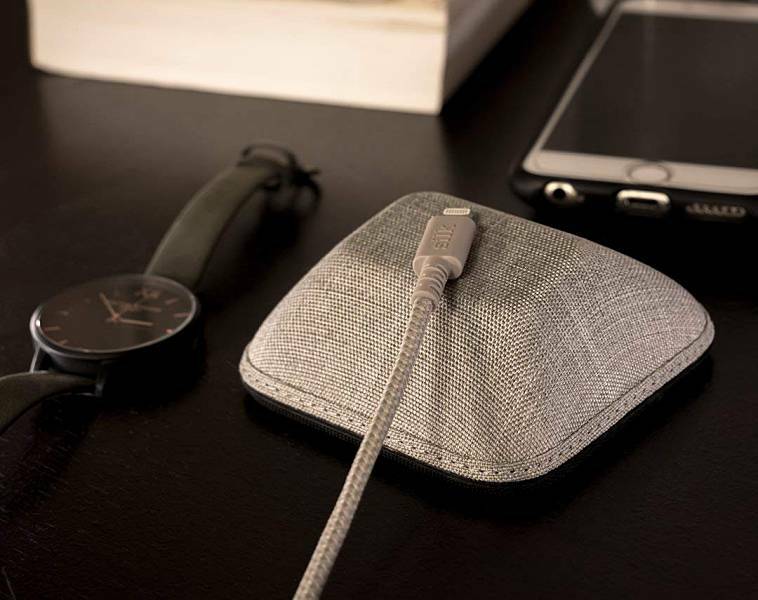 Wrangler’s compact design makes it perfect for your desktop, nightstand or wherever cables need wrangling. And it’s kept in place using a hefty non-slip grip on the bottom. The base is covered in an attractive woven material that is available in two colors, No. 2 Pencil Gray and Lightly Toasted Beige. You can purchase the Cable Wrangler by itself for $19.99, with a 6ft lightning cable for $29.99 or with a cable and 2-port wall charger for $39.99 on Amazon.